The annual "Day of Days" event was held on Saturday, November 14 at Universal Citywalk. Mandy Lynn Denaux covered the event for Serial Scoop and chatted with the cast of Days of our Lives about the 50th anniversary of the iconic soap opera, and much more. 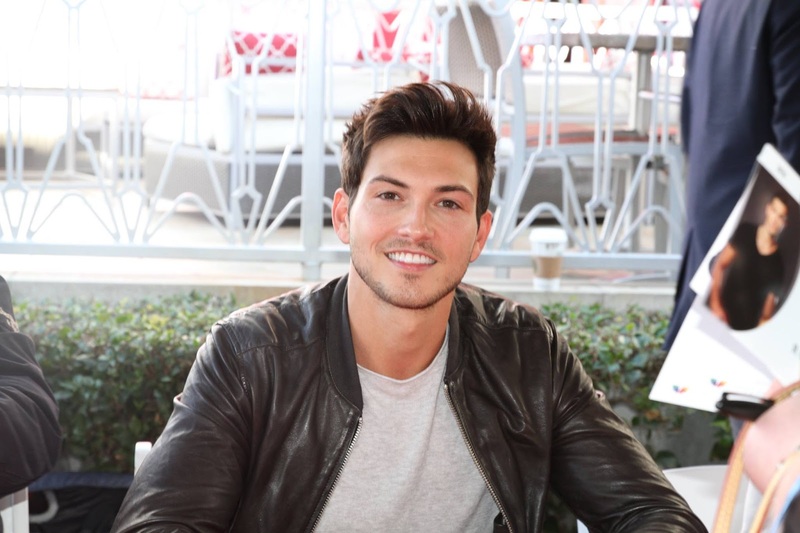 Robert Scott Wilson shared his thoughts on the complicated life of his character, Ben Weston. SERIAL SCOOP: We know you can’t share too much of the upcoming storyline, but if you had to summarize in one word what your character has been up to, what would that word be? ROBERT SCOTT WILSON: In one word? Redemption. Maybe it’s not redemption … one word is very difficult. You know, it’s something tangible that we’ve all been a victim to. Whether we’ve been cheated on or hurt, whatever … we all have a little piece of Ben Weston inside of us. I’m not saying we’re all killers or willing to do things that are that extreme, but we’ve been all hurt. And sooner or later there’s a boiling point. We all try to stuff down our emotions, but they’re going to come out. And the longer you stuff them down, the worse it’s going to get. So, be true to yourself. SERIAL SCOOP: You were on the show before the regime change; what’s been the biggest shift for you? ROBERT SCOTT WILSON: Everything. Everything changed. My work ethic, because of them, has changed. Because they were writing for me. They wrote me an amazing story, which ended up being the threat of the entire show. They trusted me with it. I’m thanking them again, the producers, the fans. For somebody who doesn’t know what he’s doing. Ben doesn’t know he’s killing these people. Until Will dies, he doesn’t know. That’s an issue. Ben doesn’t recognize that. So there’s an empathy toward that, to come back from something like that, even though he’s doing terrible things. So the writers are in charge of all that. They gave me a ball to run with and I’m just trying to seize the opportunity. SERIAL SCOOP: Would you and Ben be friends in real life? ROBERT SCOTT WILSON: I would want to know Ben because I’m intrigued with people with backgrounds like Ben’s. You know he’s had an incredible life alone. He didn’t have family. He was always a protector … trying to protect his sister. And now here he is in this storyline … in this situation, where he thinks he’s doing the right thing. There’s something intriguing about somebody like that. Think about all the serial killers, the famous serial killers in history. The films about these epic character – Anthony Perkins from Psycho, Patrick Bateman – these characters. I would want to meet them, I would want to know about them. SERIAL SCOOP: If you could play another character on Days, regardless or age or gender, who would you want to play? ROBERT SCOTT WILSON: I don’t want to be anybody but Ben. I love Ben – what he’s turned into, what he can do. Coming back, the way people look at and treat him now. There’s more opportunity than ever to be Ben. SERIAL SCOOP: How about social media? How does impact your work as an actor? ROBERT SCOTT WILSON: I’m still old school with things. I mean I know how important social media is and I have my Instagram, Facebook and Twitter and I try to post and be on top of it. But I’m still old-school in that I think there has to be certain amount of mystery to people in order for them to believe you more onscreen. That said, I also know how imperative it is to be relevant, so I try to talk with my fans, post and let them know what I’m up to. But I don’t want to give them everything. I’m going to show you what I want to show you because I need you to believe what I’m doing. Days has been amazing to me. I love they fans, they’ve been amazing.